"They are scattered and broken down, but there is a leadership, there are fighters there, there are moderators," said Joseph Joseph Votel to reporters who had traveled with him to the Middle East to make his farewell tour. Votel's comments underscore the statement by National Co-director Dan Coats to Congress, an assessment that President Donald Trump has publicly disagreed with. However, the statements come as US-backed fighters in the recent battles of the US Syria, where the IS still controls the territory. 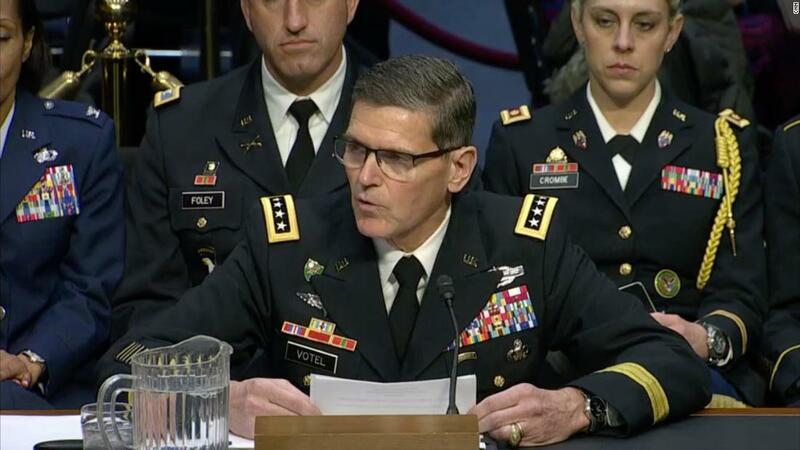 "I am very proud of the local coalition team that supports our Syrian Democratic Armed Forces partners in difficult struggles," said Votel. "Urban terrain, high density of explosive hazards in the area and the presence of displaced persons and others trying to leave the region." He added that the operation has been resumed in the central Euphrates Valley in the last 24 hours and is currently underway. American officials believe that the dispersed fighters could be located in much of the Syrian desert. At the moment, Votel was finally of the opinion that all US troops will be leaving Syria, but he would not set a public schedule when this will be the case. "The President's orders are very clear to us, we understand exactly what he ordered," Votel said. However, he also pointed out that the US military will continue to look for ways to maintain pressure on ISIS and support the SDF without ground forces within Syria. He declined to give details of how to do this. These comments came when Votel embarked on a two-week farewell tour before resigning as head of US Central Command. His trip, which begins just as the US is about to withdraw troops from Syria, will include meetings with foreign leaders to thank them for their support. Votel retires after 39 years with the US Army.